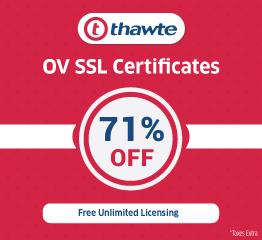 SSL Certificates are compact data files which digitally attach a cryptographic key to sensitive details transacted. When you install the SSL Certificates on a web server, it enables the padlock and the “https” protocol. 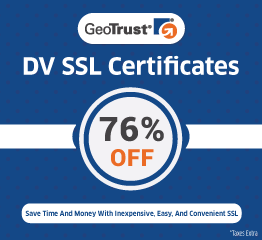 Consequently, SSL permits secure connections from a web server to a browser. The most important criteria for getting ample security is to have your own website hosted with a “dedicated IP address”. Even if you need to pay a meager amount to get your site hosted with a dedicated IP address, it is worth spending the money. Because having your site hosted with a shared IP address bears a potential risk of malicious incoming web traffic from other shared IP addresses. According to your requirements, you can either opt for free SSL or a paid one for your website. You can create one by yourself which is not recommended. All the browsers verify it with Certificate Authorities (CAs). 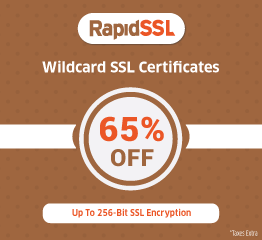 You can buy SSL certificate as per your requirement but that should be from a CA rather than using a self-signed one. You need to browse your web hosting control panel (cPanel), and then go to SSL/TLS admin area. Then select “Generate an SSL Certificate and Signing Request”. Thereafter, you need to fill up the other fields of that form. The form looks quite like below. You need to insert your domain name in “Host to make cert for” field in the form.Once you complete the CSR form and click on “Create”, you will activate the SSL Certificate by yourself. After clicking on “Create”, you will be redirected to a page which looks like below. You need to copy the upper block of text so that you can give it to the SSL Certificate Authority (CA). They will establish your site’s identity. You will be receiving your SSL Certificate as a “.crt” file. Please note that your website host can also activate the SSL Certificate for your website, so check it whether they are in the process of doing this activation step for you or not. If not, then only proceed, else not. You need to wait for maximum 2 days if you let your web host do it. Browse your website host’s cPanel, and go to SSL/TLS menu. Then click on “install an SSL Certificate”. It will look quite like below. You need to paste your certificate (block of text) into your website host’s control panel (the upper input box) in above image. Then click on the “Submit” button. Now, if you browse https://yoursitename.com, your website will be loaded successfully. This is because you have already installed SSL Certificate for your website and have activated “https” protocol for your website. Please note that you can skip using “https” for those pages which do not deal with any sensitive data, else you will be just wasting the power of encryption and decryption without any purposeful usage. For that, you can use “server side approach” in PHP coding.